Exciting NEWS from NIST! The Small Business Cybersecurity Corner Website is now live! 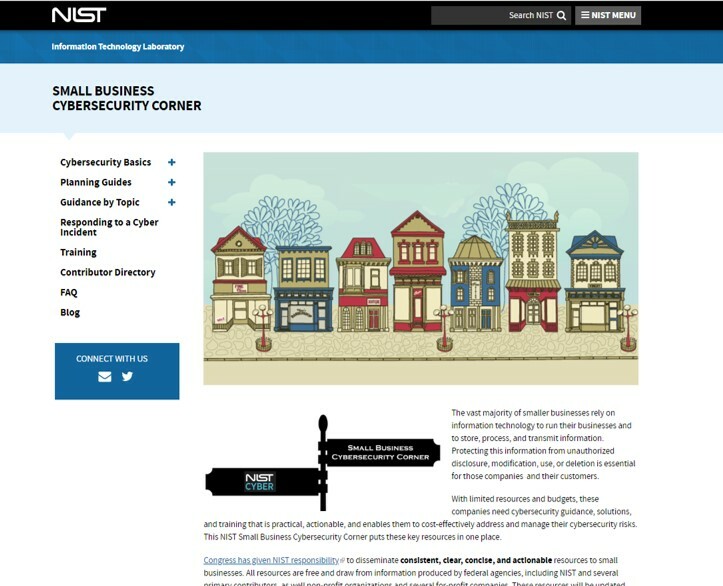 After the signing of The NIST Small Business Cybersecurity Act in August of 2018, NIST got to work on the development of the Small Business Cybersecurity Corner to disseminate consistent, clear, concise, and actionable cybersecurity resources to small businesses. NIST Director, Dr. Walt Copan, just announced at RSA that our website has gone live! Check it out at: www.nist.gov/itl/smallbusinesscyber! Remember to follow us on Twitter for future updates and news! How will they measure up? RTI awarded to evaluate the class of 2016 state and local pilots! Build Trust and Verify: New funding opportunity to assess our state pilots!